TimLybarger.com: JTE, Scorchers, and a Leaf. JTE, Scorchers, and a Leaf. 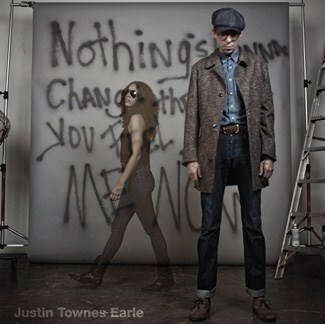 For anyone who actually reads this blog, you probably get very tired of me talking about Justin Townes Earle. Unfortunately for you, he's got a new album coming out soon so my chatter won't be dying down any time soon. If you're interested, you can download the title track on Justin's website. Stay tuned for continued excitement about this album. There's a leaf on the tree in my front yard that won't fall off. Seriously. It's January and we've had multiple days of high wind, rain, and even snow last night. This sucker is still hanging on. I don't mention this to try and be inspirational or tell you to hold on for tomorrow or anything like that. I just think it's cool. Especially since this happens every year in the exact same spot on this tree. All of the leaves fall except for one in this same spot. One leaf hangs on until late in the winter when it's finally had enough. A reason to watch the Super Bowl. Etta James, Warner, and a book.